As Jody Elsom likes to tell it, you don’t start a career, have kids, get divorced and then between soccer practice and consulting for Google suddenly decide you want to also make wine unless something about the grapes--in this case, malbec--really speaks to you. That’s how Elsom came to launch her eponymous label in 2006. She started making her signature Bordeaux and Rhone blends in a warehouse at First Avenue and Atlantic streets then eventually moved the winery to her native Woodinville. Now, after five years, Elsom Cellars has returned to SoDo, opening a 3,500-square-foot tasting room and production facility in the Gateway Complex, a few doors down from 2Bar Spirits distillery. Inside the winery, which celebrated its grand opening on April 4, a massive tasting bar made from oak barrel staves gives the space a rustic feel, while live jazz and vase-dotted community table are unmistakably chic. There, tasters sniff and swirl from among Elsom’s current lineup, including the 2009 Isabella Red Wine, a rich, peppery blend of malbec and cabernet sauvignon named after Elsom’s daughter. 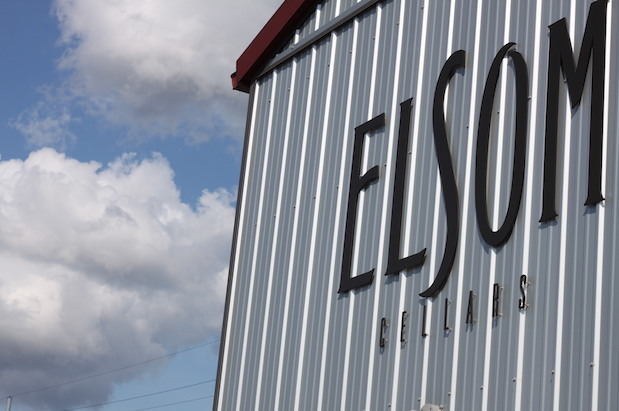 Most of Elsom’s wines are big and fruit-forward, and made with grapes sourced from vineyards in Red Mountain, Yakima Valley, and the Horse Heaven Hills. All but one of the 10 current releases are from the 2009 vintage. “I like to lay the wines down for a little longer before I release them to give them more complexity,” she says. She shares the warehouse with the travel and adventure companies Evergreen Escapes and KAF Adventures. 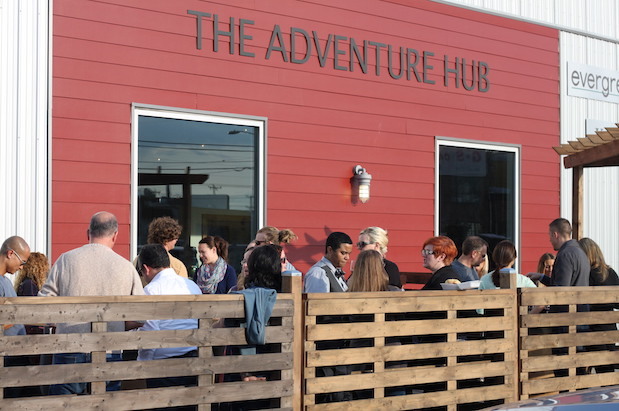 The trio dubbed the venue the Adventure Hub + Winery. The idea? “They did a talk on traveling to Australia and I served some of my syrahs,” Elsom says. Next up, Mendoza and malbec, naturally. Eventually, Elsom hopes to host winemakers from around the world for tastings and discussions. Her children, Isabella, 9, and Logan, 8, have plans of their own: monthly kid-friendly concerts and a "tree house" atop the winery bathroom stricly for Xbox marathons. Beginning in May, the new tasting room will also offer wines by the glass and a menu of small bites from the Ono Project’s Melissa Peterman.